Ever wondered where an MBA could lead? According to the latest research, employees with MBA qualifications are in demand, and for Victoria University (VU) alumnus Maxwell Gratton, the postgraduate business degree has been invaluable in helping him accelerate his career in senior leadership. According to Maxwell, the decision to pursue an MBA qualification sprang from a desire to expand his skill set and build on the knowledge he’d obtained through completing a Bachelor of Sport Management, also at VU. Maxwell Gratton describes his time at VU and how it's helped him progress his career. “After working in the sport and recreation field for a few years following my undergraduate degree, I wanted to enhance my career prospects,” explains Maxwell. With its broad business management focus and opportunity to apply learning to real-world scenarios, VU’s MBA program helped Maxwell land his first CEO role. “The MBA laid the groundwork for professional success and inspired me to take the next step in my career,” he says. Maxwell’s MBA has enabled him to progress from one high-level leadership position to another, across both the sporting and non-sporting sectors. 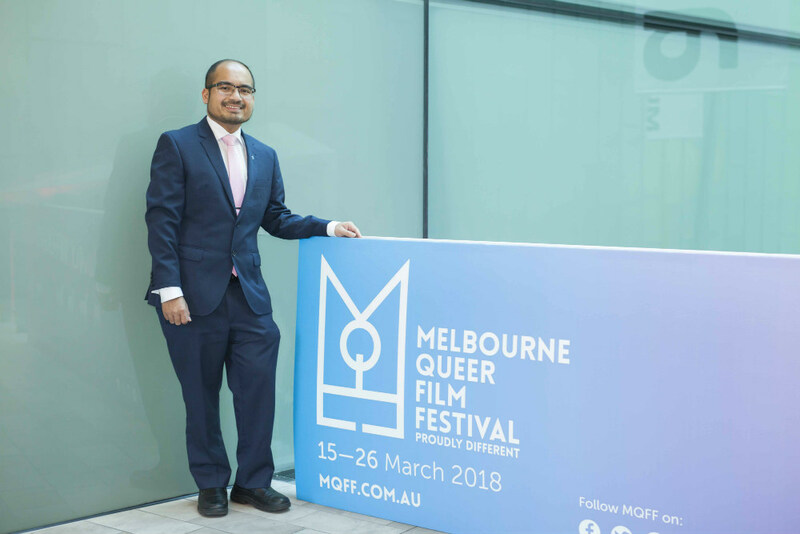 “Since completing my MBA I have progressed to the C-suite, initially as the CEO of Basketball ACT, then as CEO of Football Federation Victoria, and now as the CEO/Executive Director of the Melbourne Queer Film Festival,” says Maxwell, who has been recently recognised for his professional success with an Australian Institute of Management (AIM) Leadership Excellence Award. Maxwell says VU’s MBA program gave him a holistic understanding and appreciation of the functions of business across an organisation. “We were encouraged to make connections with industry and apply learning in real business situations,” he explains. “I initially chose to complete my undergraduate degree at VU because of its strong reputation in sports degrees,” says Maxwell. Maxwell Gratton is currently the CEO / Executive Director of the Melbourne Queer Film Festival. Maxwell says VU’s MBA course provided the perfect vehicle to advance his career into senior management, thanks to its wide-ranging focus on the skills and knowledge required from today’s successful business professional. It also helped him expand his professional network. “The course was also personally satisfying because of the opportunities it offered to connect, collaborate and work with a range of industry professionals as fellow classmates. Many of them have become valuable work contacts, while some have even become lifelong friends and career mentors,” he says. Maxwell credits VU with playing a key role in both his personal as well as his career acceleration. “Studying at Victoria University was a rewarding journey and I can’t thank the university enough for what it’s contributed to me in my professional and personal development,” he says. Learn more about completing your MBA at VU Online or get in touch with our Enrolment team now on 1300 043 531.